All our examinations are carried out by experienced Ophthalmologists. We are a true Medical Eye Centre (one of the last in High Wycombe) and our Doctors have many years of hospital experience. Our eye examination fee is £23.50 and should be booked in advance. In our practice now, we can offer our patients an OCT scan. OCT-Optical Coherence Tomography- is an advanced eye scan for people of all ages. It captures both a photograph and a cross-sectional scan of the eye at the same time giving us more information than ever before about the health of your eyes. A fee is payable for your OCT scan. This Topcon video demonstrates the scan and explains its advantages. 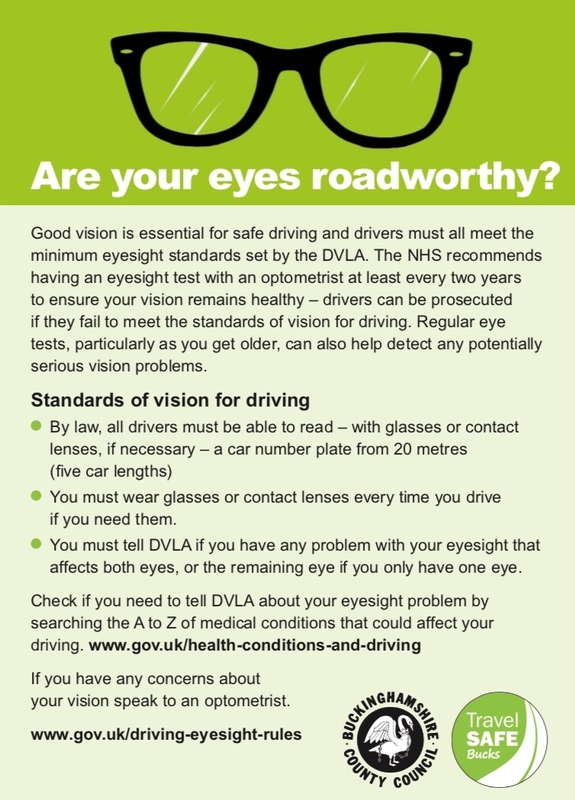 If you, or anyone you know are concerned about vision for driving and whether it meets the legal requirements, please phone us for an eye sight examination appointment 01494-527130. Sight test and visual field checks are available most days, and our on site lab can make spectacles, sometimes on the same day. There are lenses available with specialist drive coatings and we are happy to discuss the latest products available. Patients unable to visit our practice due to various reasons including disability, age or illness can book a domiciliary eye test. Our Ophthalmologist can visit the patients home, and organise spectacle or other optical appliances as necessary. Many domiciliary eye tests are free but there are government restrictions.